Excitement and anticipation filled the air as the 2015 New York International Carpet Show (NYICS) commenced with a preview cocktail party sponsored by shelter/lifestyle publication ‘Elle Decor’ on the evening of Friday 18 September 2015. Exhibitors, buyers, members of the press, and a few bon vivants feted away the early evening as live music and an open bar welcomed all to what would prove to be one of the most international instalments of the now venerable show. But after the kiss kiss and the hug hug – and perhaps one too many whiskeys on the rocks – it was time to shed the pleasantries and get down to the business at hand of examining the latest and greatest wares from exhibitors new and returning.Much of what could be said of the show has already been written in my review ‘NYICS 2015: International Indeed‘ published on ruginsider.com. But in case you’ve not yet had the opportunity to read it (or perhaps you don’t subscribe to ruginsider.com at all?!) the executive summary reads as follows: ‘Superb products, great quality and breadth of vendors, awesome textures, poor attendance, universal complaints about the timing of the show, and a well laid foundation for the future.’ But what about the nitty gritty as is said? Wait no more. Without further adieu, the staff of Lapchi will introduce this, the ‘NYICS 2015: Noteworthy’ edition of The Ruggist. The fine (and very patient) staff of Lapchi posing for a ‘Ruggist exclusive photo’. With special thanks to Kerry Smith. Texture reigned supreme, none more interesting and compelling from a sales perspective than Lapchi’s new – for lack of a coined word – ‘Plush’ texture. Made in Nepal of Himalayan wool the construction mixes sumptuously long and short pile heights providing for both a lovely feel underfoot and the hand and sheen of a fine badger hair shaving brush. Or was it more like mohair? Regardless of the adjective of your choosing, the Plush texture innovates Lapchi’s product line by providing their clients with even more options. ‘Lapchi is doubling down on custom.’ Kerry Smith told me, as he and the staff graciously showed me the entire collection. ‘Buchla’ from Lapchi shown in both the Plush (left) and 100 Knot (right) texture. Beyond the new designs shown in ‘Plush’ that add to Lapchi’s already extensive repertoire, the obvious question had to be: ‘Can I make the existing designs in the new texture?’ The answer, as one would expect from a carpet house that all but brought custom to the broader market, is ‘Yes’, with the usual caveats one associates with quality and texture changes. Had I not already been enjoying the craftsmanship, attention to detail, and of course texture of ‘Oldie Element Cubo’ from cc-tapis, I would have been moved to by the words of Fabrizio Cantoni as he showed me the line, ‘We like to do things the ‘proper’ way.’ For cc-tapis this does not mean choosing one particular method of construction to use carte blanche across the breadth of their product line, rather it means a holistic examination of the design, the intentions, and what exactly the finished carpet is supposed to look like. 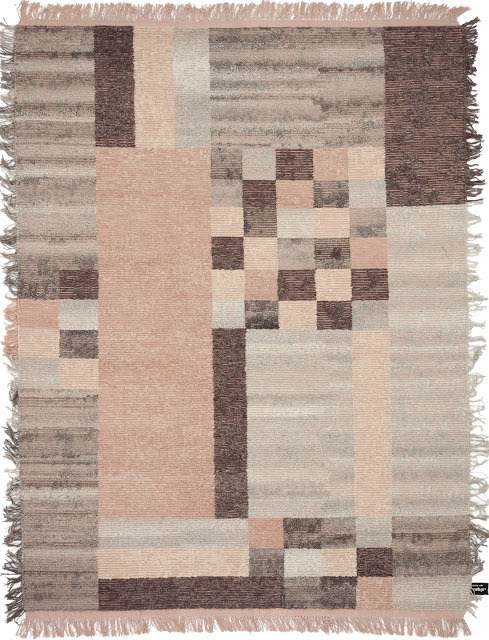 For ‘Oldie Element Cubo’, as the name suggests, the intent was to create a rug that seems old or rather ‘lived-in’, with a warmth of character about it. ‘We have tried to make them soft and comfortable whilst still maintaining a certain level of tactility, to create a texture that makes them wonderful to touch and live with and at the same time creating the aesthetic language of the rug.” Steve Wilson of cc-tapis tells me via email, ‘To create this effect without any acid or chemical washes, we decided to use cross-weave, as it is a more ‘antique’ style of creating rugs. The technique lends itself to the concept and overall aesthetic of the rug.’ he concludes. 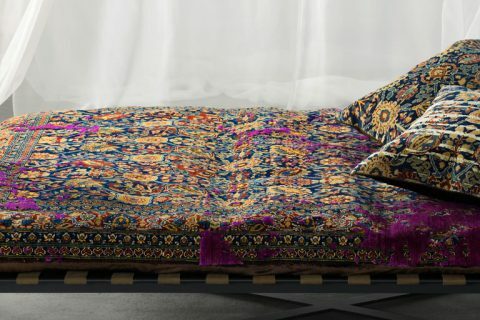 The near blanket like handle of the carpet, the surprise of fringe on all four (4) sides, and the extremely flattering in all lights colourway of ‘Cipria’, all soften the geometry (which I love) of the piece. From French Accents’ ‘Highland Collection’. 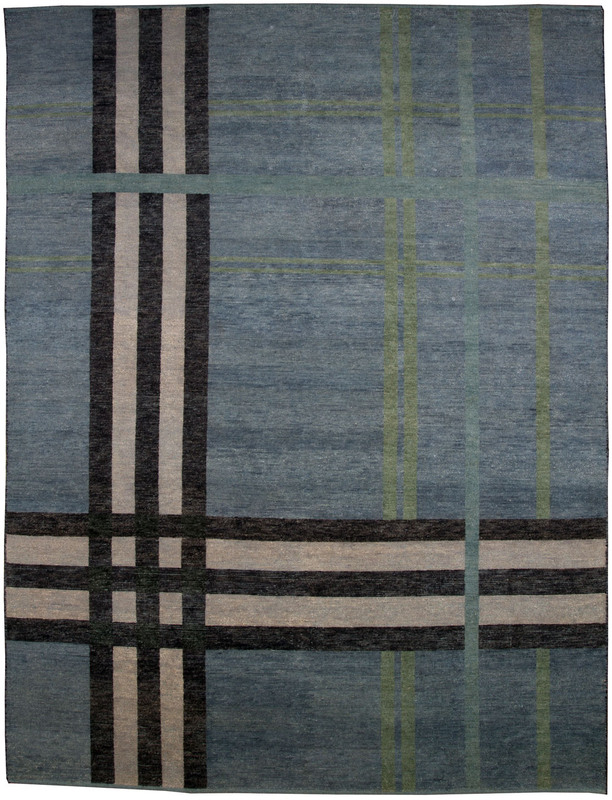 Speaking of geometry… I present this stunning plaid from French Accents. During NYICS they showed the warmer maize colouration from this collection but when I saw this stunning version, I just could not resist showing it instead. 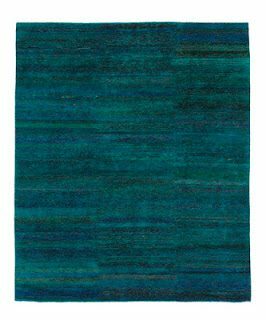 With accent stripes in pale turquoise, a lovely herbal green, charcoal and white, all set upon upon a mysterious blue, I cannot help but think of the shore where ocean meets land. The ‘Highlands’ are more than a place, they are a feeling and this carpet perfectly captures that feeling. Furthermore, it’s a shame photographs do not do the texture of this carpet justice, so I encourage you, if opportunity presents, to see this rug in person. ‘Toureg Mat’ from Jan Kath. 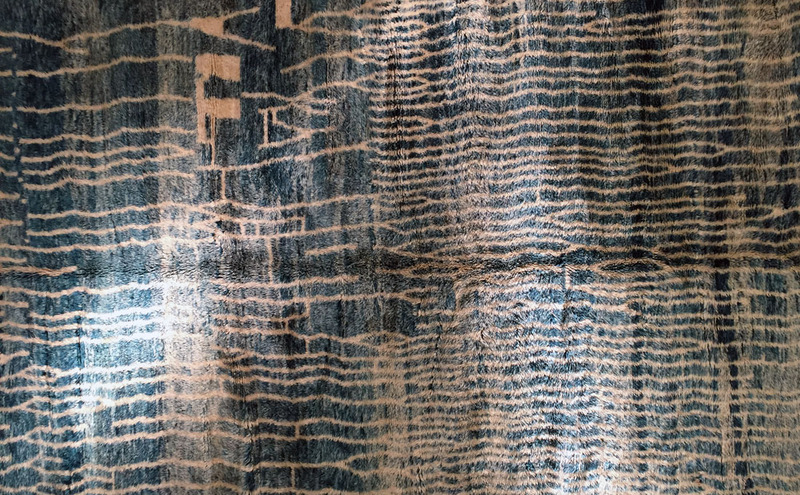 Soufiane Zarib presented an impressive collection of Moroccan rugs with this standout piece – shown in what I am calling Marine Blue – representing the single best colour presented during the whole of the NYICS. 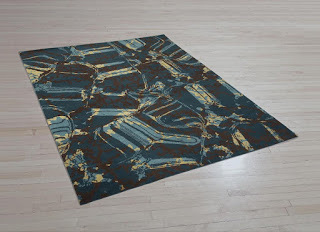 Typically one would select a carefully styled and perfectly lit professional photograph when presenting a rug, but in this case an even representation of colour would not do justice to this carpet. The richness and appeal are derived from its ability – as with most carpets – to react and appear different under various lighting scenarios. Instead of a single flat blue we are presented with a myriad of values – achieved both through lighting and abrash – that all have the characteristic metallic sheen of coloured anodized aluminum and the visual interest to make any interior sparkle. The Ruggist: But that’s not really a Tartan is it? Mr. Mandapati: What do you mean? 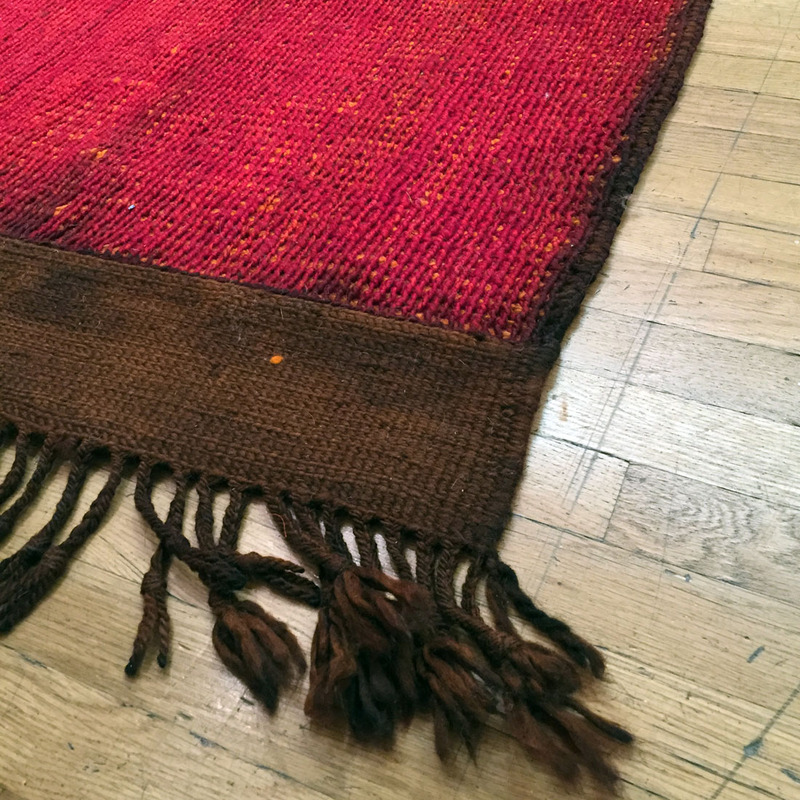 The Ruggist: Well, it looks like a plaid, not a tartan. All tartans are plaids, but not all plaids are tartans. Just like all congnac is brandy, but not all brandy is cognac. Mr. Mandapati: *Laughing* What’s the difference? The Ruggist: [Insert long winded technical description involving unironically warp and weft that concludes] but that is a technical definition. Mr. Mandapati: But is it that important? It’s just a name. The Ruggist: To other pedants like myself, extremely!! But I do see your point. 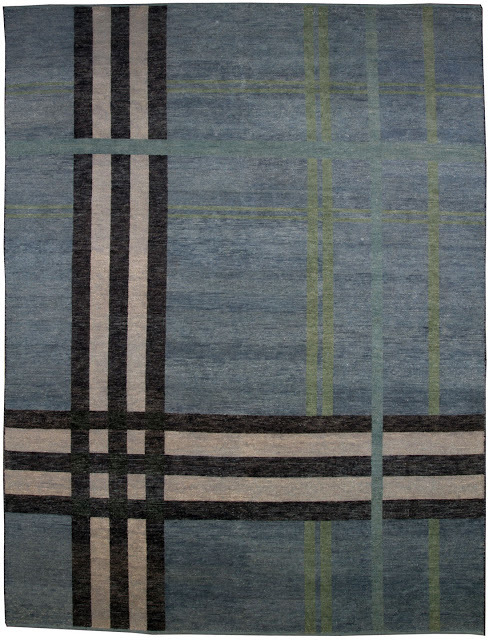 Regardless of whether it is a plaid or a tartan (technically it’s a plaid), it’s a great rug that well fits the style and aesthetic we’ve come to expect from Warp & Weft. Oh! 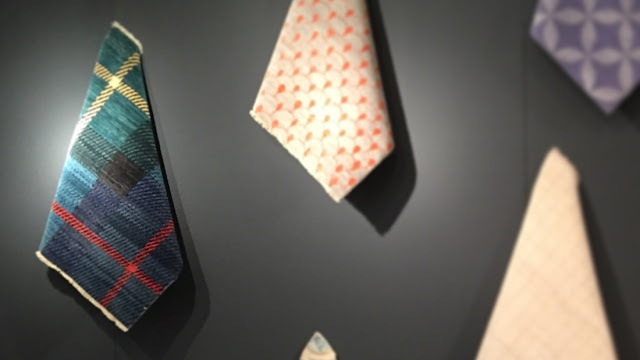 As a footnote: Warp & Weft recently completed the move to and expansion of their showroom at the Decoration and Design Building in New York City; a move brought about by the redevelopment of their former home on Madison Avenue. I took some time after the NYICS Panel Discussion to visit the showroom while it was still in the finishing stages of construction and it was shaping up to be the perfect architectural backdrop to their carpets! Kudos! 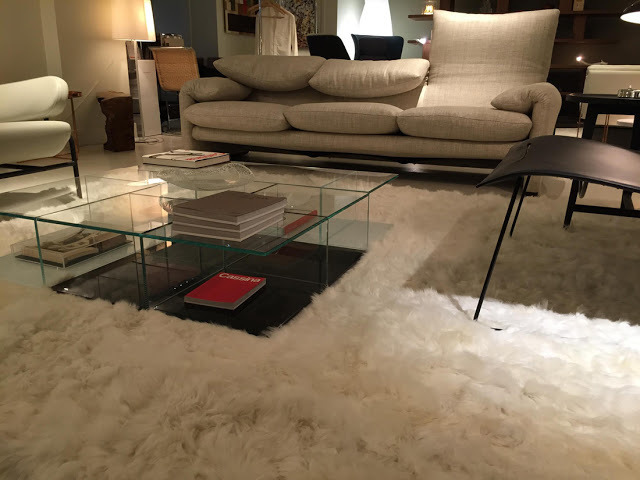 ‘Alpaca Pelt’ rug shown in situ in colour ‘Milk’ from Yerra. Overall the 2015 NYICS was a visual feast for the eyes and a tactile treat for the hands and underfoot. The changes made by new shown owner and consummate impresario Murtaza Ahmadi lay the necessary foundations for future success. Efforts to include educational seminars and panel discussions are well warranted as the industry must realize and embrace the fact that the lines between trade/retail/wholesale/consumer continue to blur. The inclusion of a late afternoon open bar and an early morning coffee and sweets table were a welcome feature of the show that afforded everyone the benefit of relaxed mingling and socializing. 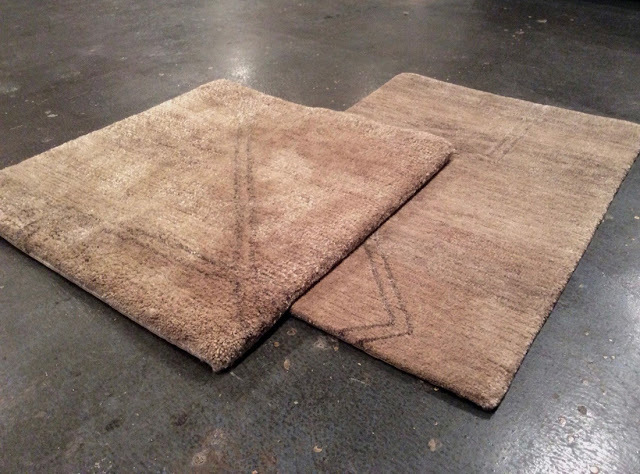 I was most impressed by the caliber of the guests chosen for the panel discussion on the final day of the show, but wished that information had been distributed earlier as an opportunity to listen to Joe Carini and James Ffrench discuss rugs and carpets does not come everyday. 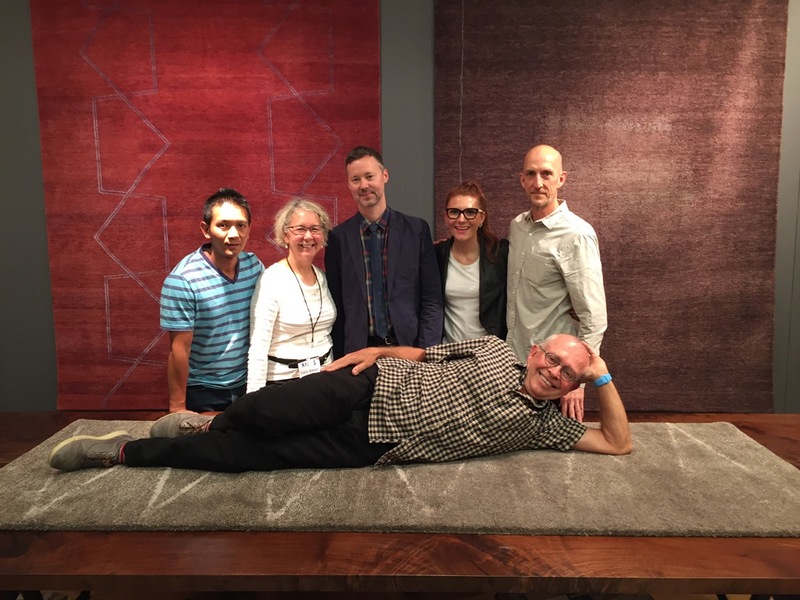 The inclusion of Karen Marx of Elle Decor on the panel added a much needed outside perspective, though I feel a moderator more well versed in rugs and carpets might have been a better choice. It’s somewhat disappointing that more people did not attend the seminars by Roz Rustigian as there is always something that can be learned. Perhaps that is solely a function of low show attendance, or perhaps it’s because all of us already think we know everything, but I digress. In what turned out to be an annoyingly pervasive conversation topic during the NYICS, we conclude with a mention of the show dates and low attendance. It is widely agreed that the low attendance was a direct result of the show dates not corresponding to those of other late summer New York City shows, a problem Mr. Ahmadi assures will be remedied for 2016.